Heathrow Airport has named the 18 locations that have been shortlisted to host factories and yards to build components for its third runway project. Heathrow is looking to pioneer the large-scale use of logistics hubs to build as much of the £16bn expansion project offsite as possible. The plan is for four regional hubs to assemble components offsite and transport them in consolidated loads to Heathrow just as they are needed. 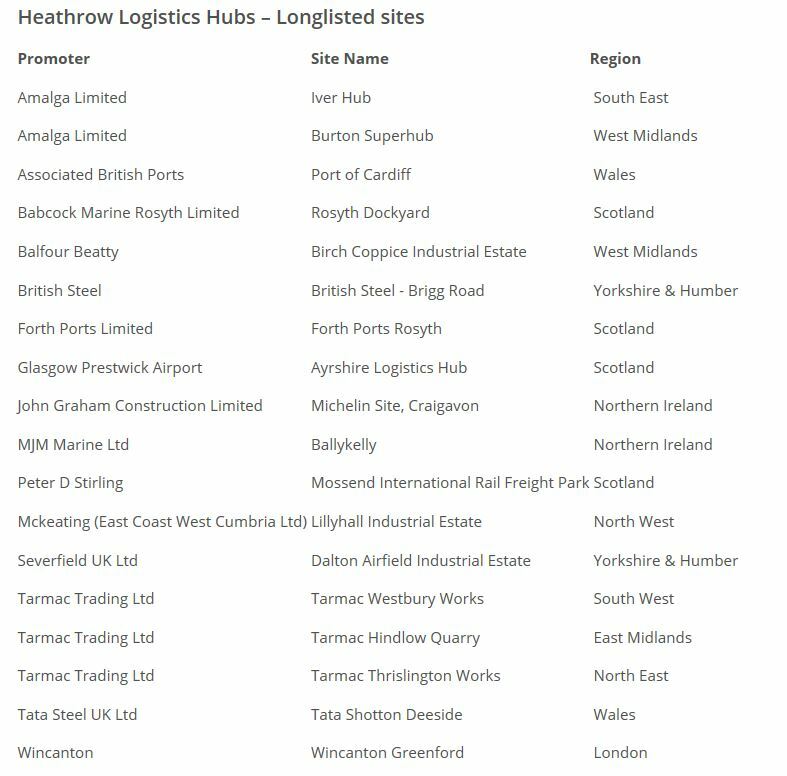 In November 2017 Heathrow long-listed 65 locations that were among 121 that had pitched to host one of the four hubs. All 65 were visited and analysed and have now been whittled down to 18. Laing O’Rourke has missed the cut, but Balfour Beatty and Severfield are still in the race, as are Tarmac and John Graham. In the autumn, the 18 shortlisted sites will pitch to the airport’s bosses for their chance to become one of the final four construction centres, to be announced early next year, ahead of work starting in 2021, according to the plans.